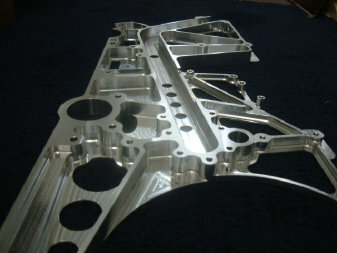 One piece and prototype machined components machined from every angle. Finished product ready for heat treat. Primed and painted cam ready for shipment. Die-Verse Tool has earned its experience by working with 5 specialized industries in its 26 years: Aerospace, Industrial, Medical, Military and Marine. By focusing our concentration on these industries we are better able to serve our customers by recognizing their application requirements, limitations, and trends. Serving the Aerospace, Industrial, Medical, Military, and Marine industries, we are able to provide unparalleled expertise from design input to fabrication. Stainless, Aluminum, Tool Steel, Hot Roll or Cold, Penrod can machine it all. Die-Verse Tool stands at the forefront of general machine shops by specializing in precision machining to tight tolerances on a production level. While most job shops have CNC machining capabilities, we take pride in our ability to fixture and tool up some of the most difficult parts to machine. We have full machining capabilities, from CNC milling and CNC turning to grinding, honing, and conventional machining, with full secondary capabilities. Satisfying our customer's tough machining requirements is what we've been doing best for over forty years! Heat treating, honing and broaching capabilites. Finish painting available. Mazak VTC 250/50, verticle machinng center for those long parts. Complex production machining problems! No problem for Die-Verse. 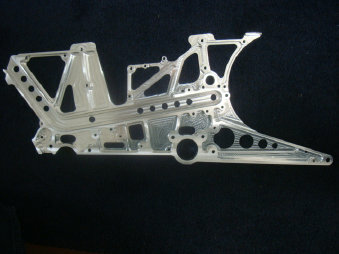 Whether its one piece or hundreds of pieces, Die-Verse Tool is #1 in Quality with Competitive pricing. 100% inprocess QC. Dock to Stock!